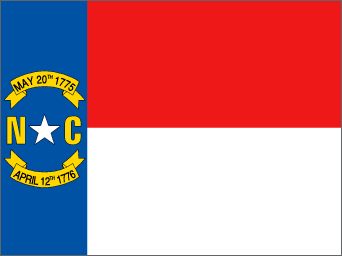 Forklift License in NC - Be Certified Today! In North Carolina, forklift operators are very much needed in factories and manufacturing businesses. Those companies are constantly seeking individuals who are trained to drive forklift trucks. But before you get hired, you need to have a forklift license. Having a forklift license means you can easily apply and accepted for the job. Your license is your ticket for better employment opportunities. Now, if you are interested seeking employment in this field, here, we’ve prepared this tutorial so you can simply understand the processes of applying for the license. We presented you a list (below) of schools that offer forklift certification. Choose one of the schools to enroll. The forklift training must be exact to the kind (and even brand) of forklift truck you are intending to operate. You must tell them about your intention when enrolling for the certification course. When enrolled, the participants will attend the 6-hour classroom lectures, where he will learn about basic controls of the machine, driving fundamentals, OSHA regulations, safety procedures, accident reporting, danger analysis, machine examination, accident video presentation, and some other topics. This part of the course takes at least 4 hours to complete. At the end, participants will be subjected to a written exam to test whether they learned from the lectures. The passing rate of the test is 75% but may differ depending on the schools. When successfully passed, participants will go through the actual forklift truck driving/operation. The operation will be done at the warehouse-like environment with people around to pretend actual workplace. Trainees will be given set of assignments to accomplish. Examiner will supervise your operation and will make the grading based on your performance. When finished, the examiner will make recommendations. Only those successful applicants will be given a certificate of training completion and forklift license. The forklift license has a validity of three years, in which after that operator must take a refresher course for its renewal. Here are the schools that provide forklift training in the state of North Carolina. Contact one of the schools and ask about your requirements and set an enrollment. The training school may charge you an amount ranging from $100 to $250 depending on the duration and type of the course. In North Carolina, you need to have a driver’s license in order to get accepted for the training and in the actual job. You must not be underage. !8 is the legal age. OSHA reported that those underage individuals are the common causes of accidents. No alcohol or drug addiction history or dependent on any prohibited drugs. Must show proof that drug being take is required for treat illness. It is much appropriate if the trainee can present a report of his background check. If not, the company can do the checking prior to getting accepted. Must be dressed in proper personal protective equipment like steel-toe shoes, vest, pants, hard hat, long-sleeve, etc. when attending the training especially during the practical forklift operation. Some of the above-stated documentary requirements will also be applicable when applying for the job. It is recommended to accomplish these during the early stage of the training requirements submission. Above, we stated that procedure on how to apply for the license when you’re a beginner. Here in this part, we will give you insights how to get re-certified if you’re an experienced and presently employed. The employer can arrange a schedule with the training school and send the operators away to the location. Obviously, the downside of this is that production may stop. The second option is for the employer to hire a trainer and conduct the training on-site. This method is the most effective one because the examiner can modify the certification programs to match with the warehouse environment and types of forklift trucks being used on-site. In North Carolina, a certified forklift operator can earn as much as $33,999 per year on average. Depending on know-how and familiarity, the employer can give higher wage. in South Carolina, the salary is higher. There will no shortage of forklift job in this state, as the manufacturing businesses and factories are in continuous searching for a skilled individual to man forklift trucks to boost production.